- Remember that peas are a harvested vegetable. As with any other vegetable preparation, check for any stray stones or waste matter. - Note: If a ‘scum’ develops on top of the steeping water, the peas have been over steeped and if they smell they have gone ‘sour’ and no amount of cooking will soften them... start again! And, to cook consistently good tasting food in a fraction of the time, why not purchase a Hawkins Big Boy Pressure Cooker. Hawkins Big Boy Produces Perfect Peas from robert on Vimeo. The Big Boy range of Pressure Cookers has been specifically designed to cook large quantities of food quickly and economically. By using a Hawkins Big Boy Pressure Cooker, you will not only make savings in energy costs and to preparation time but they also help you produce perfect peas… every time! - More than halves your energy costs in the preparation of Mushy Peas e.g. 10ltrs of Peas cooked ‘conventionally’ took 1¼ hours -but only 20 minutes in a Hawkins Pressure Cooker. - Saves time and frustration - simple to use, no constant watching, topping up or cleaning up like with a conventional open pan. - Enhances flavours and nutrients which are retained in your food through infusion rather than it drifting away in the steam from conventional cooking. 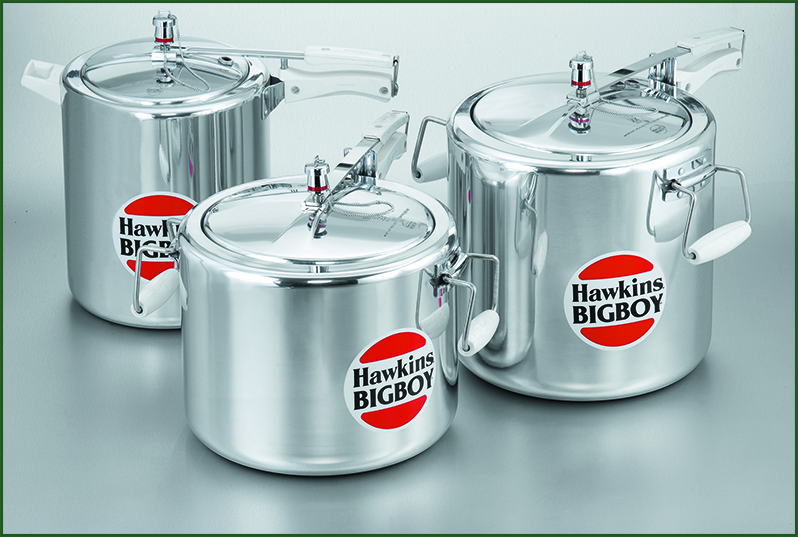 - The Hawkins Big Boy Range are arguably the best commercial pressure cookers available. - You can also cook puddings and tough cuts of meat in a fraction of the time.